Here you go! Post your pedalboard photo you're using at church. And what's the order chain? haha. 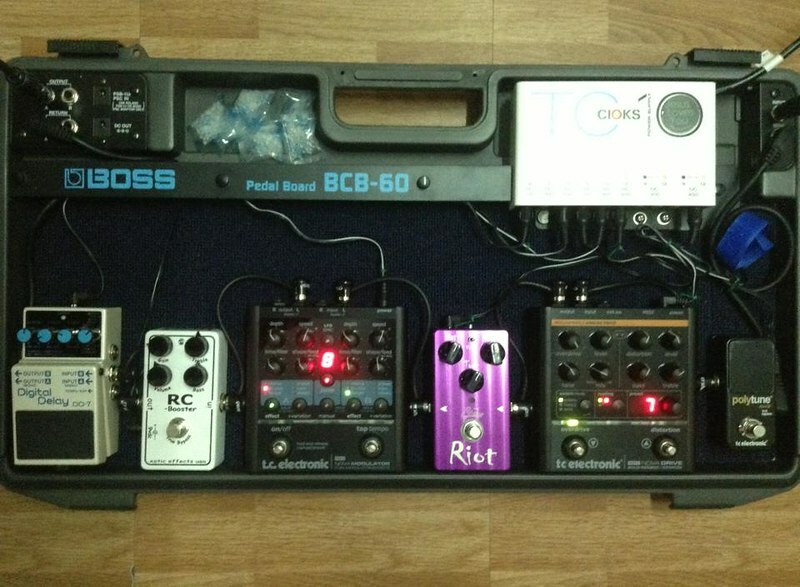 The Boost is always on all the time because it fattens up my tone a little and for some clean tones. The Sparkle Drive is my 1st stage OD in which I set to a low gain/transparent-ish sound. The FD2 OD side would be my 2nd stage OD stacked with the sparkle drive which is really pleasing to the ear. 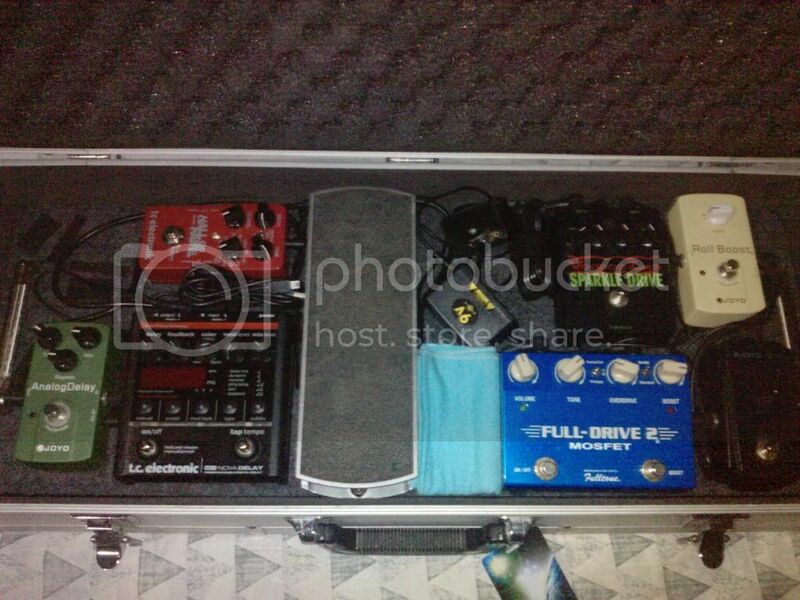 Then for solos I just engaged the boost side of the FD2. By the way, my FD2 is set to the FM mode and Mosfet clipping. For delays, the Nova is my main while the Joyo AD is there to fill up some spaces. I have all my delays preset in the Nova. The AD is also use for my blues playing when im not in church just to make my signal not dry. The HoF is there for some pleasant ambient noises and also for volume swells. I use a custom toneprint for the HoF. Im planning to change my main delay soon. I'll probably get the Eventide Timefactor. Lalu na OD stacking schemes mo. oo nga eh.. i want a timmy. pero as of now, Butah does its job naman. ok na ok sa low gain setting, transparent din sya and can do a great job stacking with Rt66 or Signa. hehe. contented na ako actually sa board, but still want a DD7 as 3rd delay..HAHAHA. delay freak eh. maybe this year will add a DD7 and a Wah. Under construction pa bro. Medyo sakit sa ulo yung laki nila pero panalo naman. DD20 onti na lang idadagdag mo!!! must post looks nice there! wahhhh!!! M9!!! nice rig bro! here's mine, hehe. post ko rin dito. eto naman gamit ng church. magpo-post ulit ako dito soon, haha! hehe maganda nga yun eh, hehe. pero yun nga, soon, hehe. Ganda talaga ng board niyo Sir Kulas. Ampless setup kayo sa CCF diba? thanks bro! yup ampless. 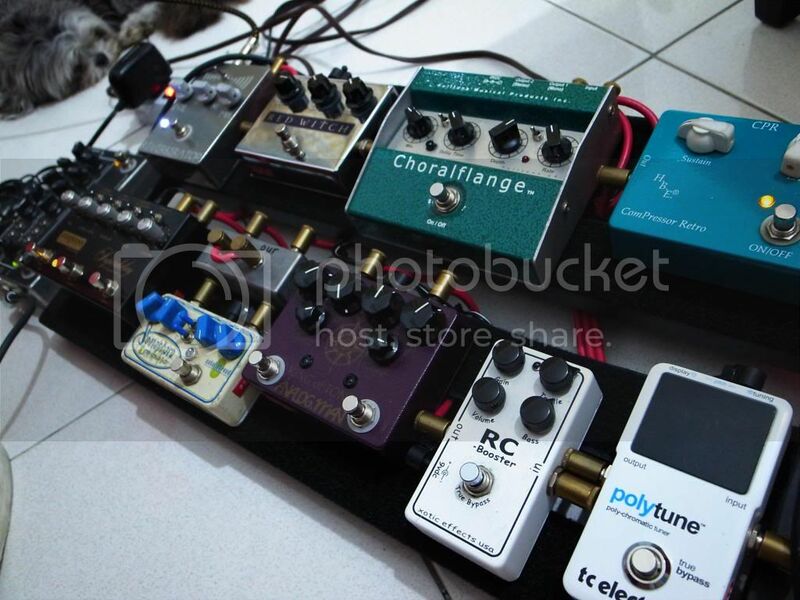 kaya may preamp pedal ako na off the board, hehe. 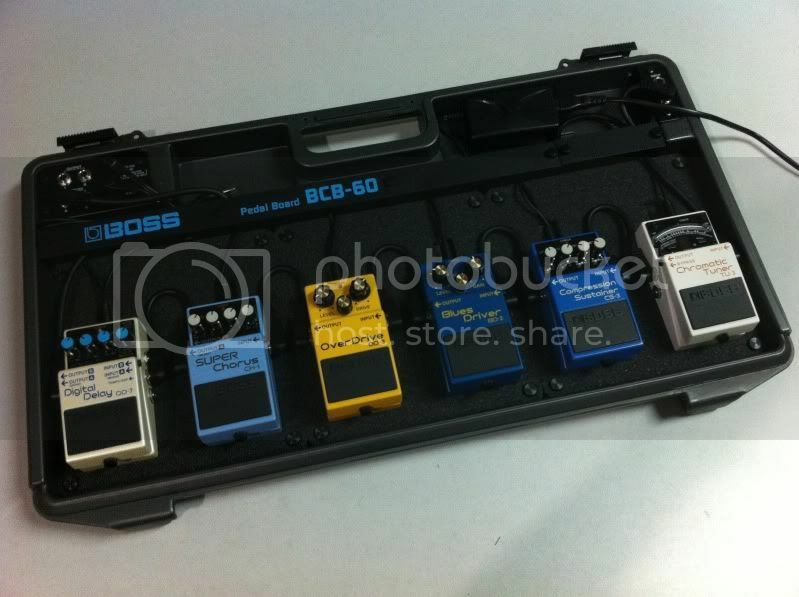 as for the BCB60 ng CCF we bought tech21 pedals as amp sims. Wahhhh!!! boutique melt down!!! ganda!! !